IF you are a wine geek like me, you will undoubtedly have followed the Japanese Manga “Kami no Shizuku” or the Droplets of God. For the uninitiated, the story follows the competition of a duo to unravel 12 different apostles. 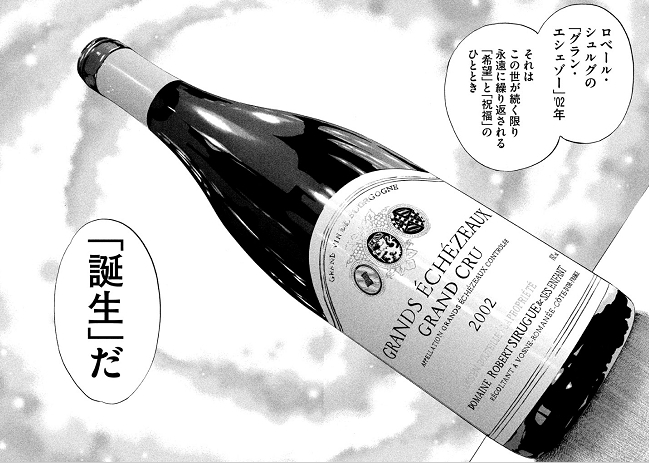 The 10th apostle of the series, revealed in Volume 34, is the 2002 Robert Sirugue Grands-Echezeaux. I’ve long considered myself a Burgundy geek but I was truly baffled. Why is a wine from this unknown producer chosen as an apostle? Long kept a secret by the Japanese market, WEA are proud to be bringing these superb wines into Singapore. A key characteristic of their wines is the significant percentage of old vines in their holdings. Grapes are mostly destemmed – at least 80%. The over-achiever in their cellar is the 1er Cru Les Petits Monts which stands head to head with other illustrious producers in that vineyard. The crown jewel of their cellar, meanwhile, is the Grands-Echezeaux with 1-2 barrels of it made each year. An absolutely regal wine and absolutely RARE. The siblings, Marie-France and Jean-Louis – the 4th generation of the family, are currently in charge of the Domaine after their father retired in early 2000s. Tasting at their cellars, the style is all about elegance and purity. If you want bold, robust Burgundies, this is not the address for you. Their main export market is Japan for more than 20 years, which shouldn’t come as a surprise! Bits of their wines go into the US market and it was only recently that they have a distributor in UK. Hence they fall off the radar of many wine critics.